Net income of $1.1 billion for full year is most since 2008; RIAs managing $946 billion in assets. 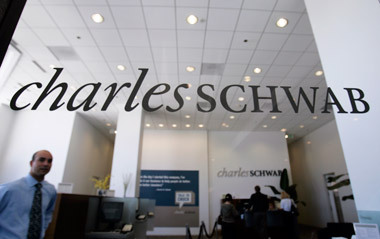 Charles Schwab Corp. announced Thursday that it posted a 51% increase in net income to $319 million in 2013’s fourth quarter compared with 2012’s fourth quarter, and a 10% increase in earnings from the third quarter of 2013. Quarterly revenue of $1.435 billion was up 18% from 2012’s fourth quarter. For the full year, Schwab had net income of $1.071 billion, an increase of 15% over 2012, on an 11% increase in revenue to $5.435 billion. Fourth quarter earnings per share were up 53% to $0.23, while full-year earnings were up 13% to $0.78 per share. Zacks’ consensus EPS estimates for SCHW were $0.21 for the quarter, with annual revenue estimates at $5.39 billion. Daily average trades were 487,000 in the fourth quarter, up 8% from the year-earlier period. Check out ThinkAdvisor’s Q4 Earnings Calendar for the Finance Sector.